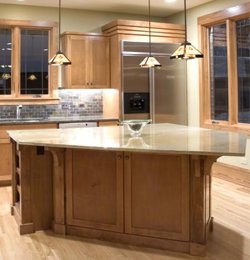 Upgrade your home or office with fine custom cabinetry and furniture from Triangle Custom Woodworks, LLC, in Apex, NC. In creating our custom cabinets we use only solid wood and plywood construction. We design and build custom cabinetry for every room in your home. While most of our clients are residential, we do offer our services to a variety of businesses as well. Contact us for a complimentary consultation. We will work with you to create a custom design that fits your needs. You will then choose the materials and custom finishes to match your unique style. We can also match existing cabinets, as well as build add ins for existing space. Contact us in Apex, North Carolina, for questions on our durable wood items and wood projects.